- The central line of each tuck ("tuck fold line") is folded, wrong sides together, to bring the excess fabric up. 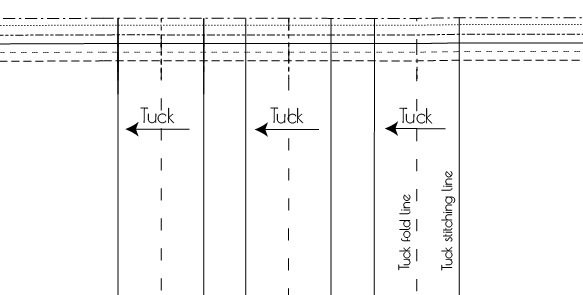 - This brings the outer lines ("tuck stitching line") of the tuck together – these lines can then be sewn together. - The tuck is then pressed to one side over the space between them. 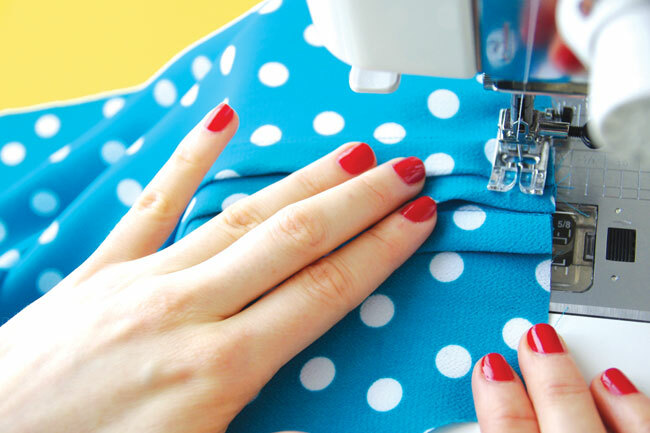 They’re not the easiest thing to get right first time, so if you haven't made them before it's worth practising on some spare fabric before taking the plunge on your garment. The key to tucks that make your heart sing is to stitch the lines as straight as you can and keep the width of each tuck the same. 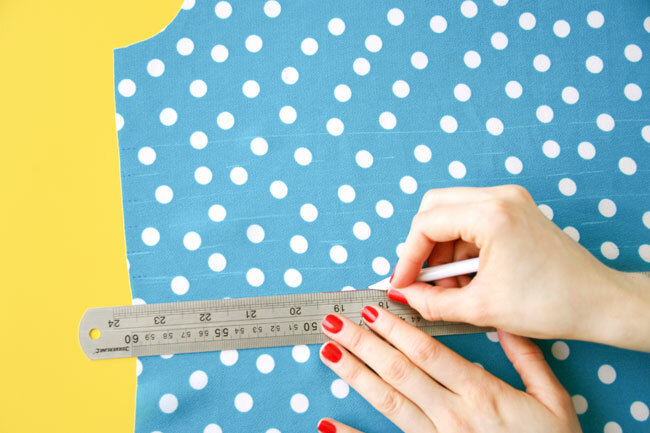 Before you start sewing, mark the tuck lines onto the right side of the fabric. The way I like to do this is to mark the ends of the darts onto the fabric - just at the edges within the seam allowance - while the pattern is pinned to the fabric at the cutting stage. Then I remove the pattern and use a ruler to connect the lines with a sharp chalk pencil. (Do check your marking pencil/pen will come off your fabric first!) To avoid confusion, mark the fold lines and stitching lines differently, for example, with full vs. dashed lines. To avoid the adjacent tucks getting in the way while you're working on them, I like to work on two at a time - one on the left side of the bodice and one on the right - before moving on to the next pair. Fold along the middle ("fold line") of each tuck, bringing wrong sides of the fabric together. Press along the fold. 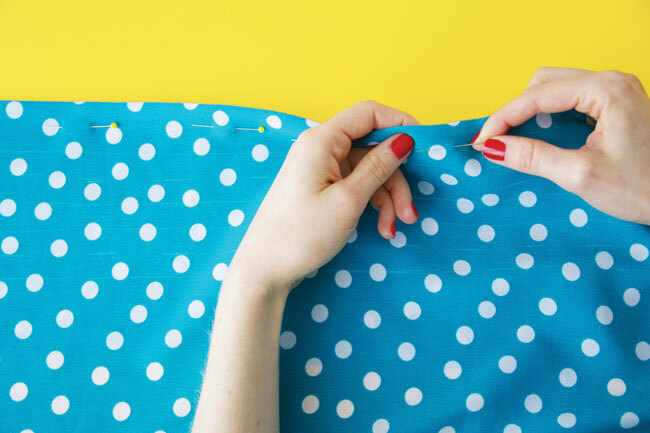 (If your fabric is slippery, you could use a piece of card to press the folds neatly in place before stitching.) Pin directly along the stitching lines. That way you can check the pins are exactly aligned with the marking lines on both sides of fabric. Sew along the stitching line, taking your time to keep the line as straight as you can. 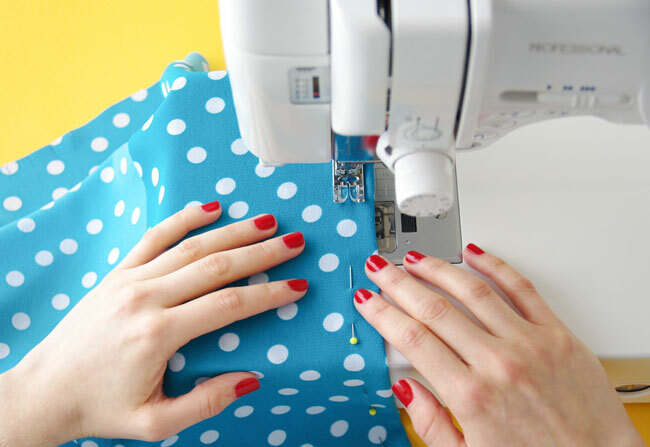 You can use the lines you drew on the fabric as well as the seam guide on your sewing machine to help keep your stitching as straight as possible. 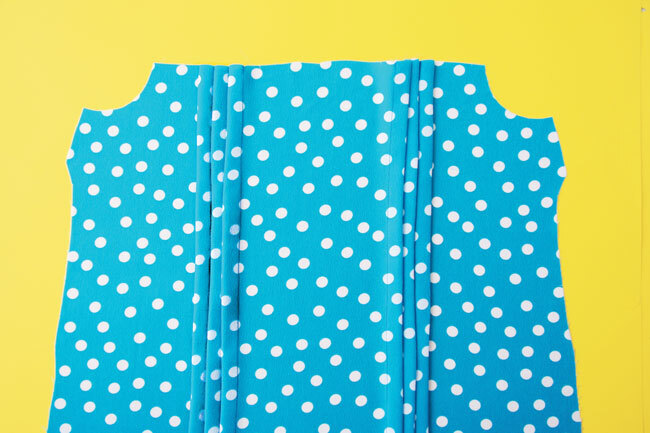 Once you've pinned and stitched all the tucks, press them - if you're making the Mathilde Blouse, press the bodice tucks towards the bodice side seams, on both the right and wrong sides of the fabric. Now staystitch across the top of each section of darts, 10mm (3/8in) from the raw edge. This will help hold them in place when you sew the seams so they don't fold back the wrong way. And that's it! Lovely looking tucks. Wanna try them out? 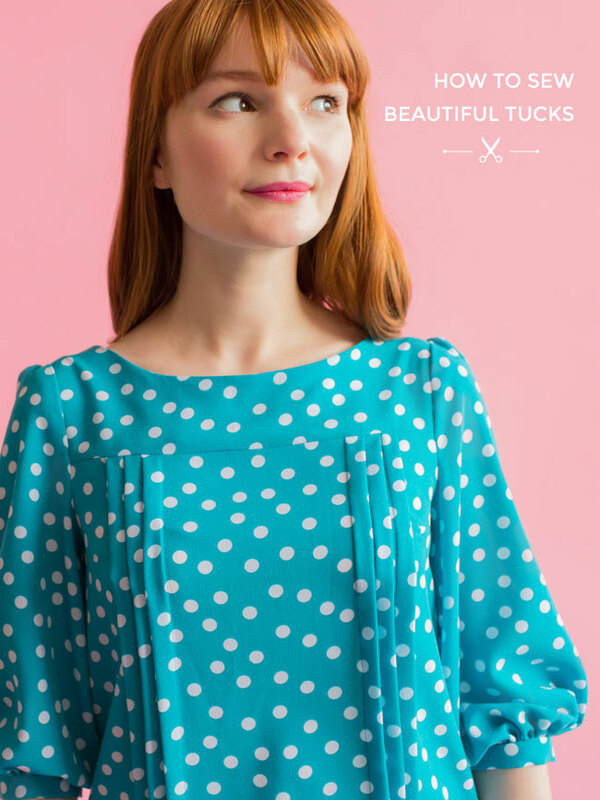 Make the Mathilde blouse sewing pattern.